One of my earliest memories is buying my first pair of 'grown up' school shoes. I was four years old, and my mum had taken me to our local Clarks store. I'm pretty sure that's where my passion for fashion was first ignited. 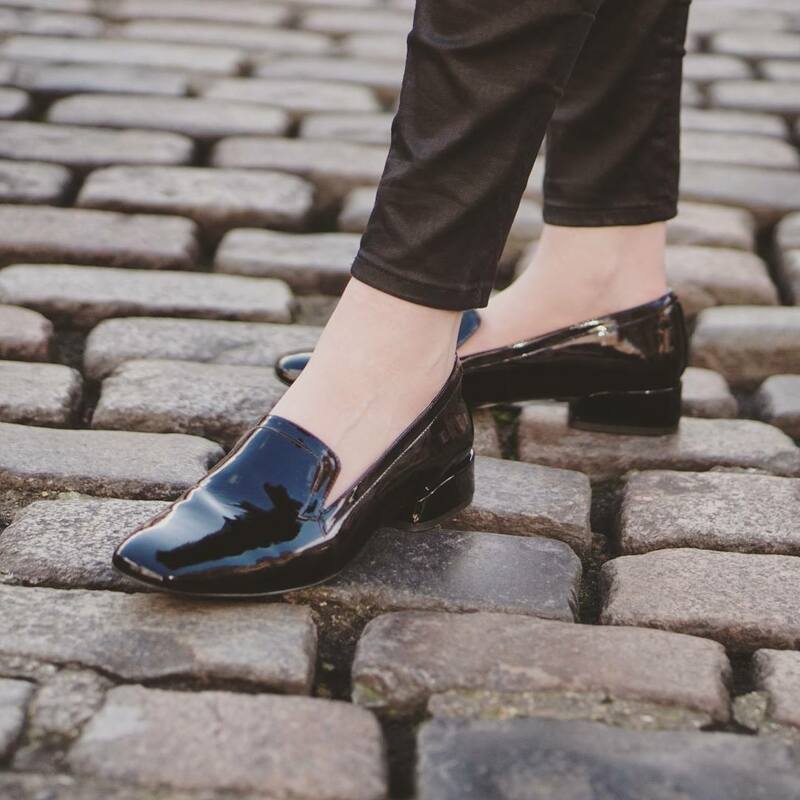 I was allowed to choose any pair that were in the school collection and I vividly remember the feeling of having independence to choose what I wanted to wear, and how wonderful the shoes made me feel. I felt like I could do anything in my new shoes, I had chosen them and I was ready to conquer the world. This may sound dramatic, (me!? never!) but I can honestly say that being able to choose what I wanted to wear, and what I wanted to look like to the world, had a profound influence on my entire love affair with fashion. The quote "give a girl the right shoes and she can conquer the world" is undeniably a fact. It's not about the shoe itself, it can be any style; heels, flats, trainers or boots, but if you have chosen them, and they make you feel good, then you can conquer the world! As some of you will know, I attended my very first London Fashion Week recently. I felt the same nerves and apprehension as I did about my first day at school. I didn't know what it was going to be like, would I be wearing the right thing, would people judge me? It was only fitting then, that I revisited the brand that helped me out some 23 years ago. Clarks shoes have been a staple in our household for what feels like forever. Quality, comfort and style have ensured we keep returning after all these years. As a fashion blogger, I'm obviously interested in the more high fashion aspect of their range. So when I read about their new collaboration with the V&A museum, I couldn't wait to try some! The range celebrates the decade that "changed fashion forever" - the swinging sixties. 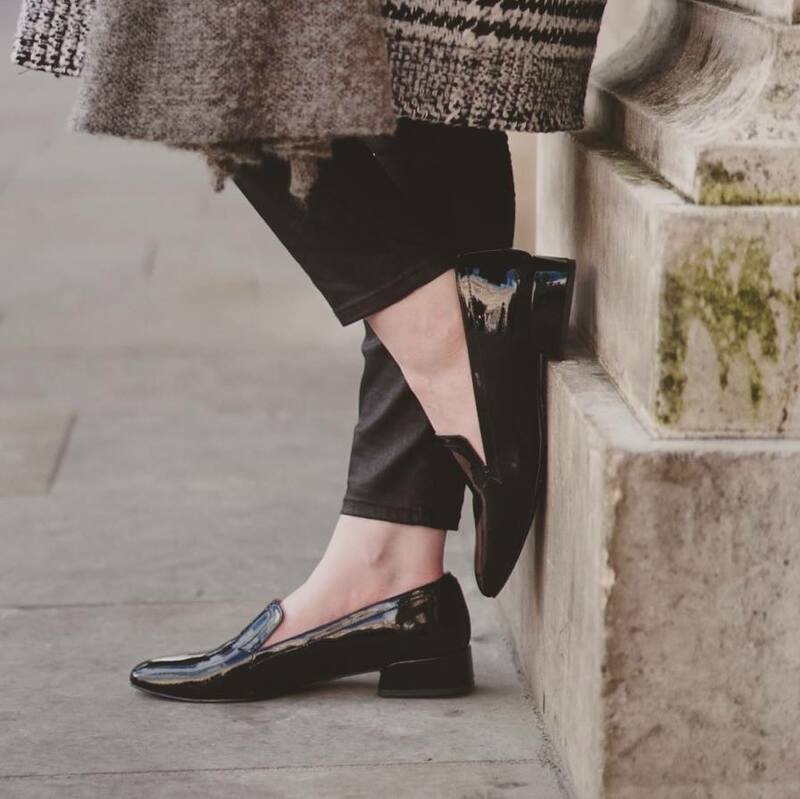 The range is an eclectic mix of sleek silhouettes, clashing patterns and ultra stylish flats. Whilst I was in London I had quite a few meetings, which meant I couldn't be running around in uncomfortable shoes. I needed style and comfort, which is why I chose these absolute babes! 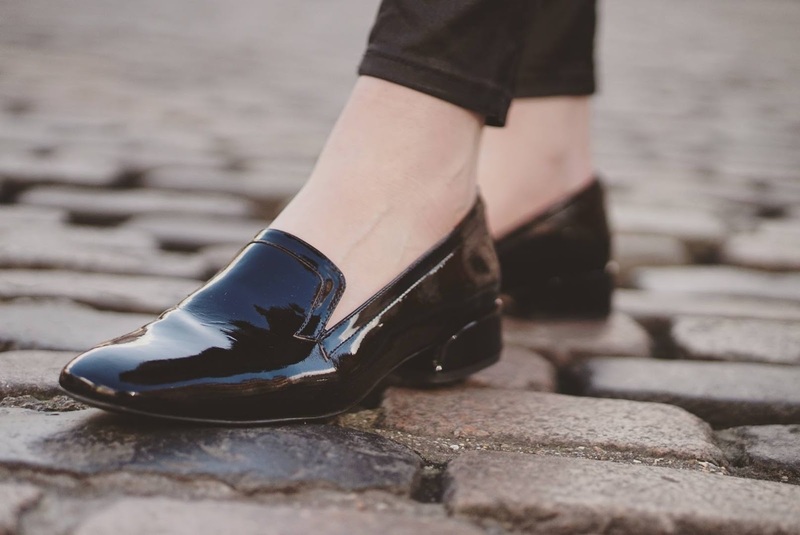 The black patent leather Swixties Ball were the perfect pair for my important 24 hours at London Fashion Week. Ever since Gucci showcased their loafers on the catwalk last season, I have been after a pair. Who needs Gucci, when you can have these! They embody the sixties vibes, yet have the modern twist. I wore the shoes for a good 3 hours and I didn't have one pain, blister or uncomfortable feeling. I can honestly say, this has never happened with a brand new pair of shoes! Even with expensive leather ones, I have always had to carry plasters with me. I couldn't believe how comfortable they actually were. 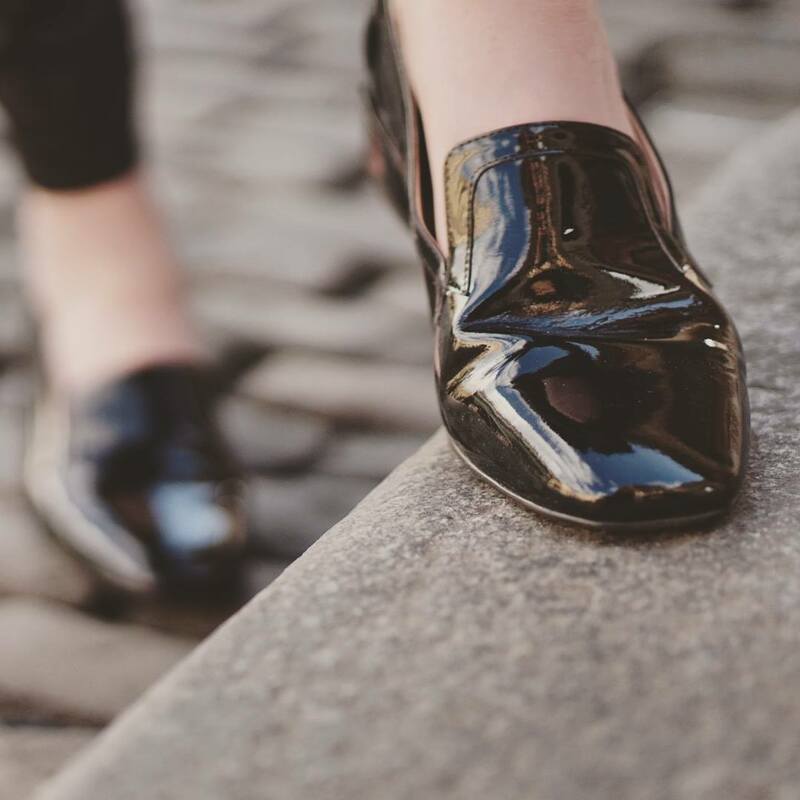 They are incredibly flattering, and elongate your foot, with a feminine shape. 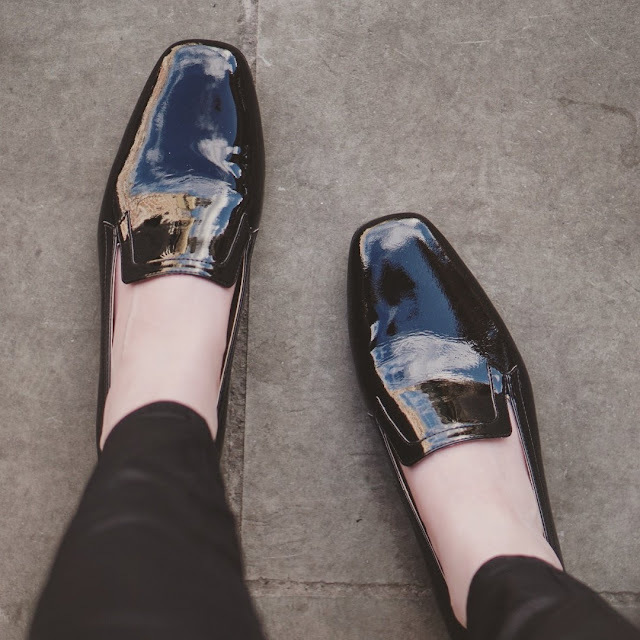 As they are patent leather, they don't squeeze your feet, they stretch and mould to suit you. They are also super practical as they are water resistant and wont mark! I paired them with black skinnies and my over sized coat. They finished off the look perfectly, making the outfit professional yet casual; perfect for meetings! I absolutely loved collaborating with such an iconic brand that has had such a big influence of my life. I can't wait to see what they have in store next! I have to admit; I'm not really a dress sort of gal. I used to love them, so easy to throw on and a lot less stress trying to work out a two piece outfit. But after I left uni and had a bit more time to get ready in the morning, I started to move away from dresses, and felt a bit too girly when I wore one. So when Vesper emailed me asking if I wanted to collaborate, I was a bit nervous about having to wear a dress! I needn't have been worried; I love their dresses! Although their range is predominately dresses, they do have a few blazers and jackets. Every piece is designed to "flatter and enhance the female form", which they certainly do. Ironically, I went for a dress that I could wear over trousers. I love the layering look that was on the catwalks last year, and layering dresses and skirts over trousers is definitely having a revival (although I always envision S Club Seven circa 2001). I chose the beautiful Cavalli knee length dress in khaki. I could have worn it on it's own, but I decided to style it up in a way that I could wear everyday, on this particular occasion I wore it out for a meal and whacked on my fave heels. It really is incredibly flattering. from the tie waist which synches you in, to the V neck which totally elongates your upper half, it really is a beautiful dress. It's also great as it's stretchy fabric, and not super tight, so it skims over your curves, rather that stick to them! I have also worn it over some boyfriend jeans and layered it over a white tee, which really updated my look. 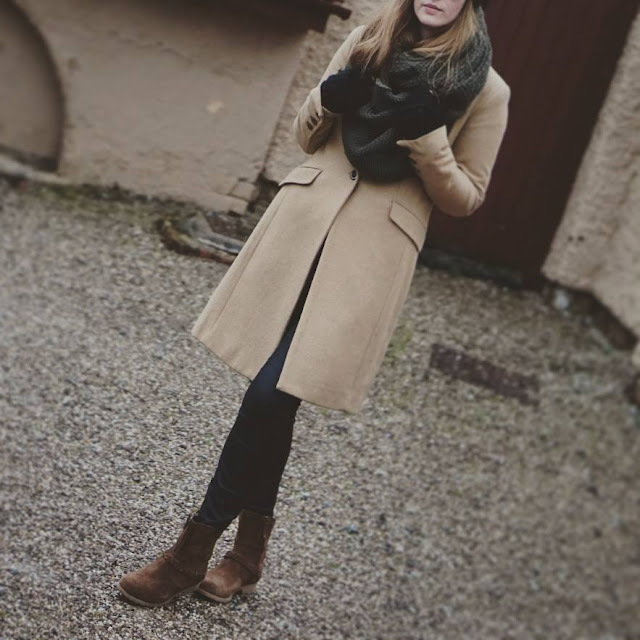 Just layering different pieces to give a variety of textures is really on trend and really easy to do. I love that the dress is so versatile, I know another blogger who chose it and our final outfit posts couldn't be more different, it really can fit with any style. 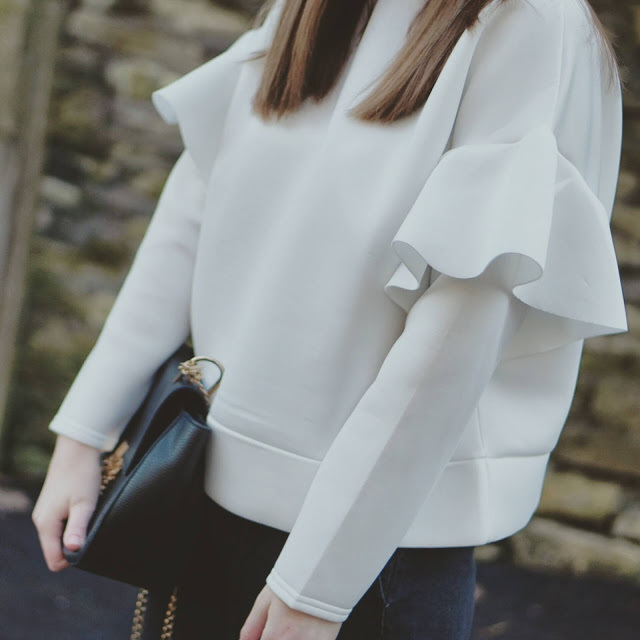 The ruffle, frill, flouncy decoration; whatever you call it, it's in this season. On the catwalks, it embodied feminine shapes, florals and lots of pastels! Everyone from Erdem, with his exquisite finishing touches to Holly Fulton, who added a very subtle frill, the fashion world fully embraced the fancy addition to their new season pieces. Since ultra girly isn't really my style, I wanted to find a more dressed down and contemporary way to get frills into my wardrobe. I've become a sucker for monochrome for the past few months. I find I can put together outfits quicker, better and feel comfortable when I stick to a one tone palette. It must be age; I want to feel stylish and 'put together' compared to my past literally 'thrown together' looks. I love my new wardrobe and the best thing about it, is it doesn't have to cost a fortune. 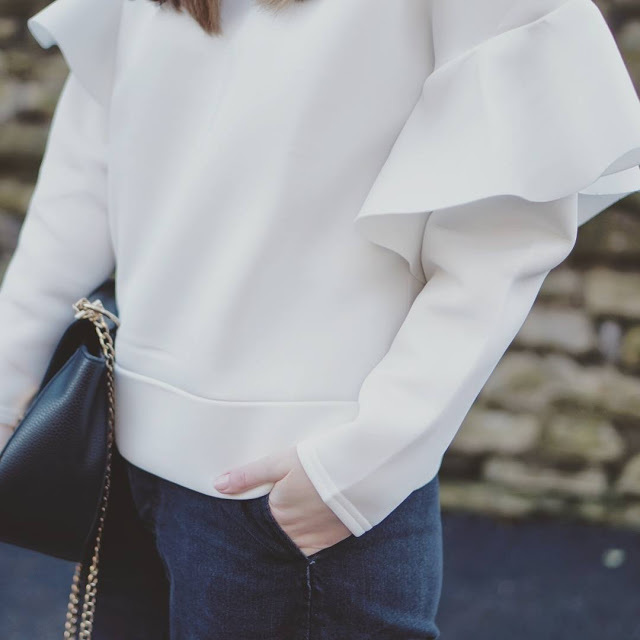 This boohoo jumper was just £15. I know right. The price of a few drinks, but worth so much more! Imagine my delight when I stumbled across it on the 3rd page of 'tops'. I couldn't believe it hadn't sold out already with such a bargain price! I ordered the white as I wanted to 'Spring' up my look, plus I always go for black. I'm loving that skinny jeans are well and truly out this season. That doesn't mean, if you love them, don't wear them, as I always believe things can never truly be 'out'; however for those of us who aren't massive fans of very tight pants, then the new relaxed fit to jeans is great news. I have loved mom/boyfriend/girlfriend/cropped flare/wide leg jeans for years, so I'm glad that it's finally on trend! Wide legs are my absolute fave, so when I found this cropped pair from asos, for just £11 I had to get them. They turned out to be my best buy; I've had them for a year and wear them at least twice a week! 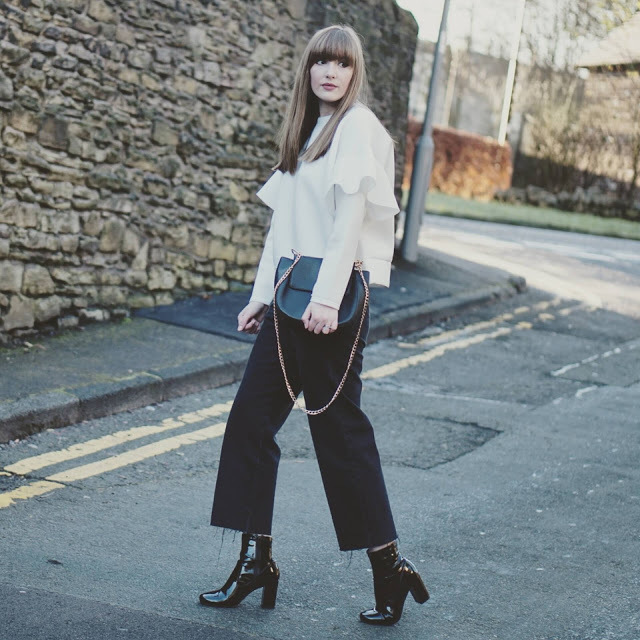 I loved the simple silhouette the jumper and jeans created; but I definitely felt the need to add a heel, just to make it ever so slightly more flattering. I finished with the boots that won't be removed from my feet at any cost, and my black gold chain bag. I'm super happy with this outfit, and wish I had saved it for LFW...no I have no clue what to wear! Just before Christmas, I was sent the most beautiful dress from Frock and Frill. I’m a genuine fan of the brand and regularly add them to my wish list on Asos! Although I’d say the specialise in dresses, the also design and make skirts, tops and accessories, all with stunning hand stitched beading that the brand is famous for. The dresses are divine and are perfect for a special occasion, bridesmaid dresses or proms. So you can imagine how excited I was when I was asked to chose any one from the website. 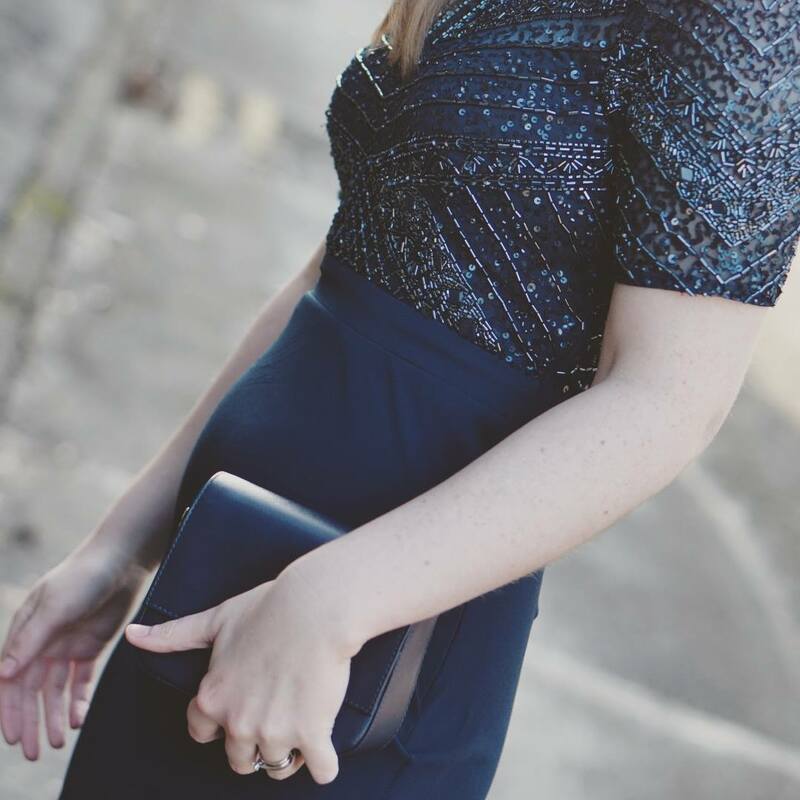 My original plan was to wear in for New Year’s Eve, unfortunately the winter lurgy got me, and I was snuggled up in bed at 12am, but with Valentine’s Day having just been and gone, I thought it was the perfect excuse to get glammed up and show off my beautiful dress. 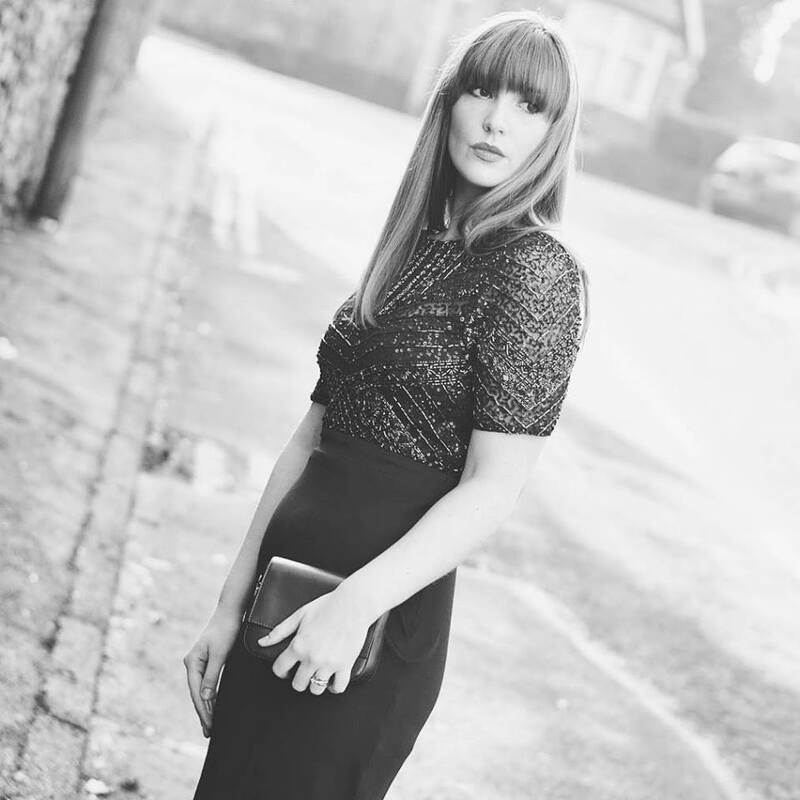 With it being a Valentines themed post, I was asked by the guys at Frock and Frill to share a romantic story or an occasion where I would wear my dress. 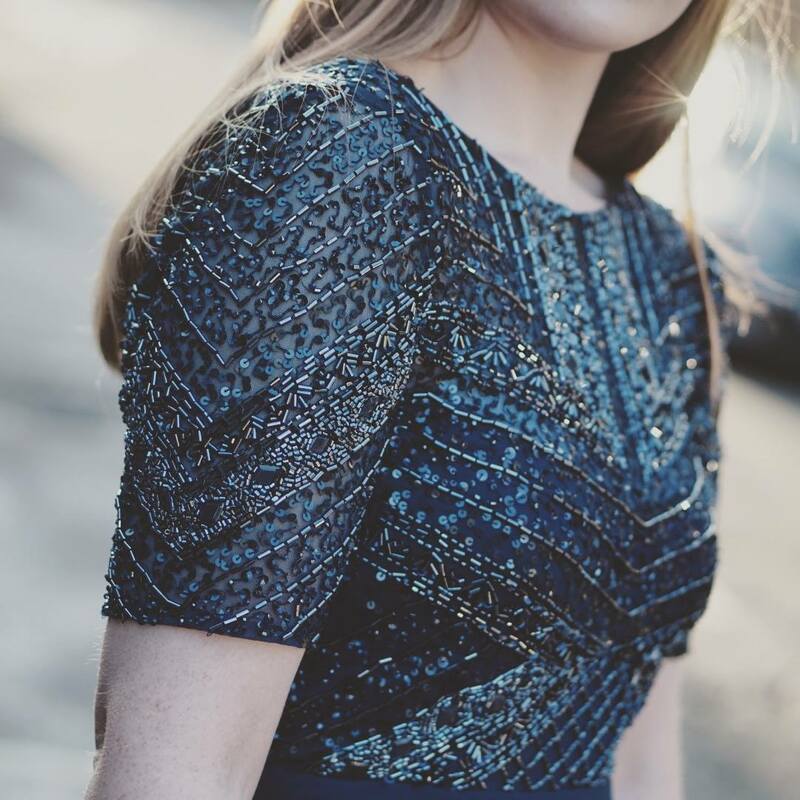 I thought I’d share my engagement story, as this dress would have been perfect for such a special occasion. I nearly ended up missing my own engagement party as I wasn’t feeling great and had decided to stay in and watch a DVD with copious amounts of chocolate and wine. My then boyfriend (now hubby), kept saying we should really go and I’d feel better when I got to this ‘night out’. After an hour of trying and failing to persuade me, I suddenly got a call from my mum in England (I was living abroad at the time!) saying I really should go out tonight, I would enjoy it. Thinking it was a bit strange, I eventually threw an old cardigan on, my bf’s slippers and went downstairs to the restaurant, where I was greeted by our of our friends sparklers, flowers and my boyfriend down on one knee! Despite it being a wonderful night, my scraggy cardigan and old man slippers wasn’t the ideal look I was going for, for my engagement party! We laugh about it now, and I wouldn’t have changed a thing...other than my outfit! This stunning navy cocktail dress has just the right amount of glamour. Not over the top, but classic and perfect for so many occasions. I’m going to wear it to an upcoming wedding, paired with a black blazer and clutch bag. I’ve already had so many compliments from the pictures I’ve shared on social media, and I can’t wait for people to see it in the flesh! I don't feel that my outfit is complete until I finish my look with jewellery. 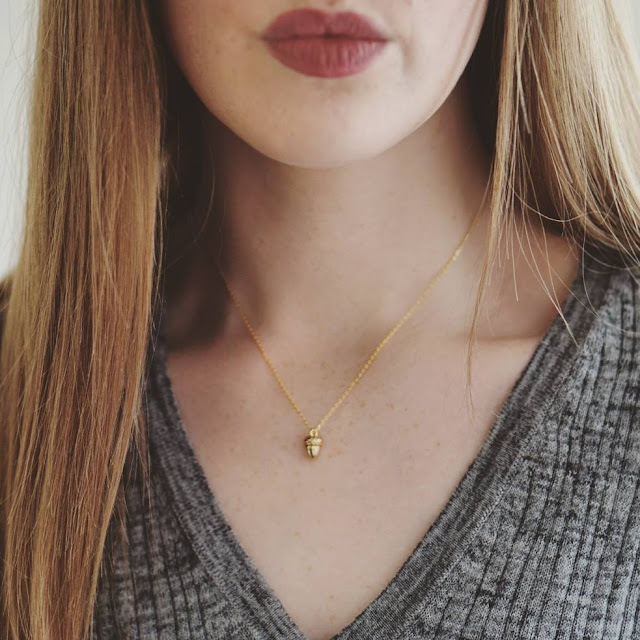 Most of you will know that I'm not really a costume jewellery type of girl; I love sleek, modern and understated pieces that compliment my clothes, rather than over power them. 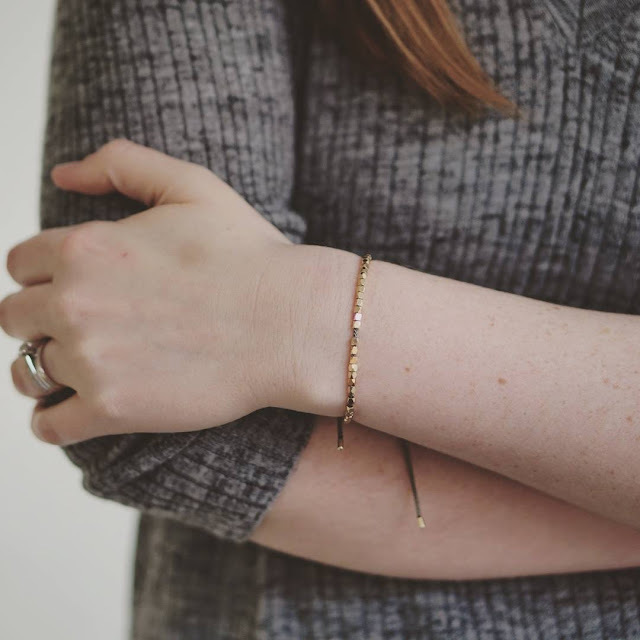 When I was asked to work with the lovely ladies over at Tienne Jewellers, I couldn't wait to chose some classic pieces that would add some detail and update my wardrobe! Tienne Jewellers is a family run business, based in the North of England. 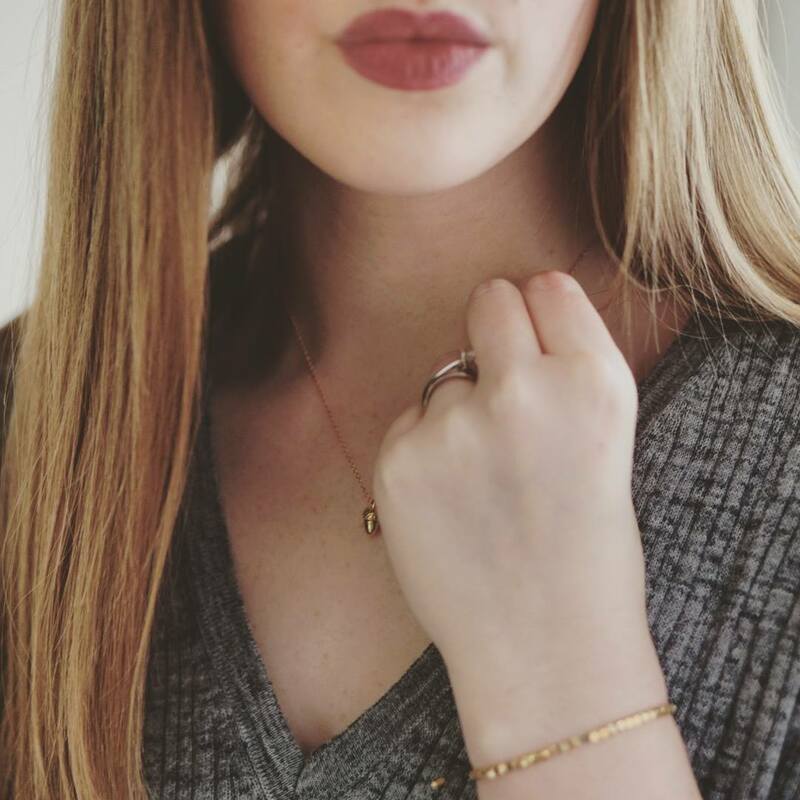 They are passionate about all aspects of jewellery and it's clear from their selection of stunning pieces that they select jewellery and brands that appeal to every style. From stunning Swarovski encrusted bangles, to Thomas Sabo charms, there really is something for everyone. I was immediately drawn to their Estella Barlett range. Estella Bartlett designs beautiful, dainty pieces that are barely there, but make an impression. They are inspired by "nature, travels and adventure" and all of the pieces come with beautiful descriptions and inspirational quotes on their packaging, making them perfect gifts for loved ones. They're also a great price point and affordable luxury! 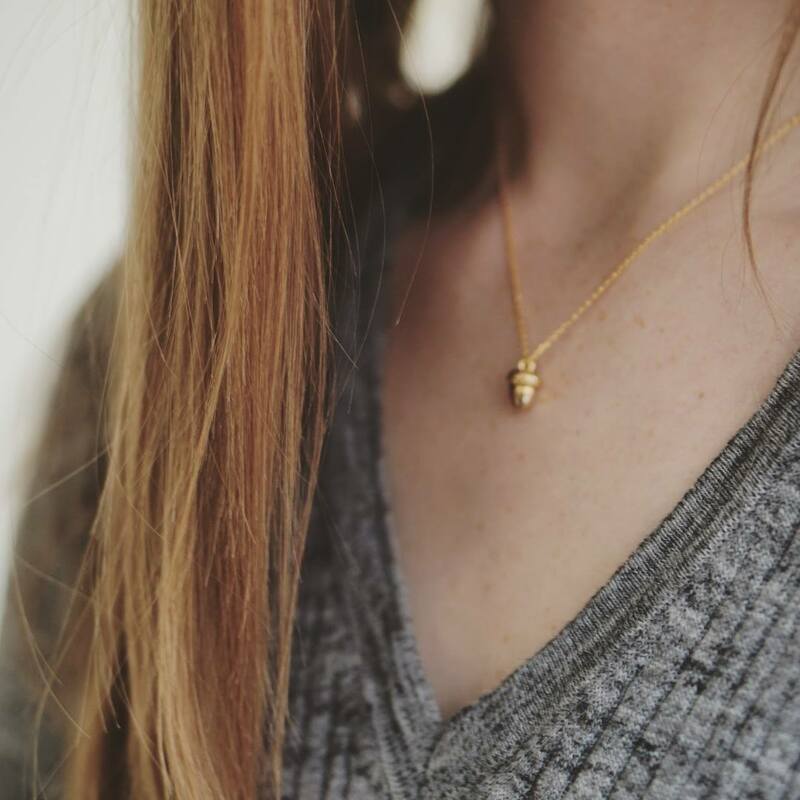 I chose the beautiful gold plated 'Secret Garden' necklace. I love the acorn as a symbol of growth, you know the saying "from small acorns grow great oaks". I'm hoping it will reflect my blogging journey in a few years time! I also wanted a delicate bracelet; something I could pair with other items and with my new watch too. The gorgeous 'Live As You Dream' bracelet was perfect. It's stunning and the gold really stands out on my arm. 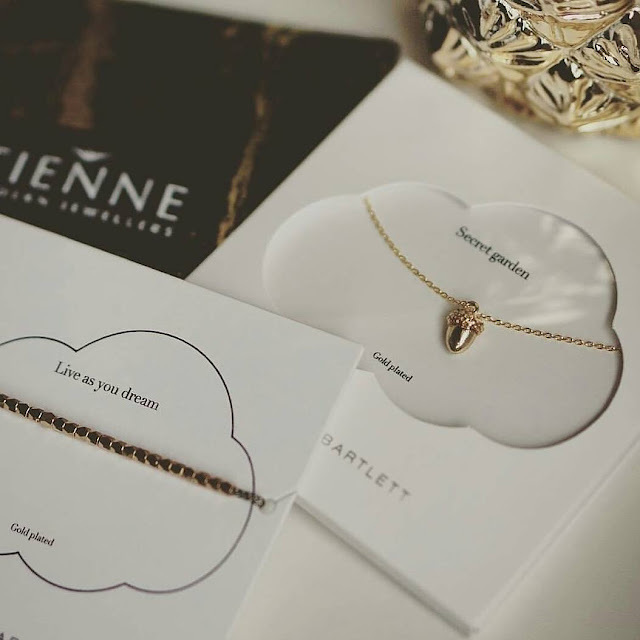 A massive thank you to everyone at Tienne, I love my beautiful jewellery and can't wait to show you more way I style it! 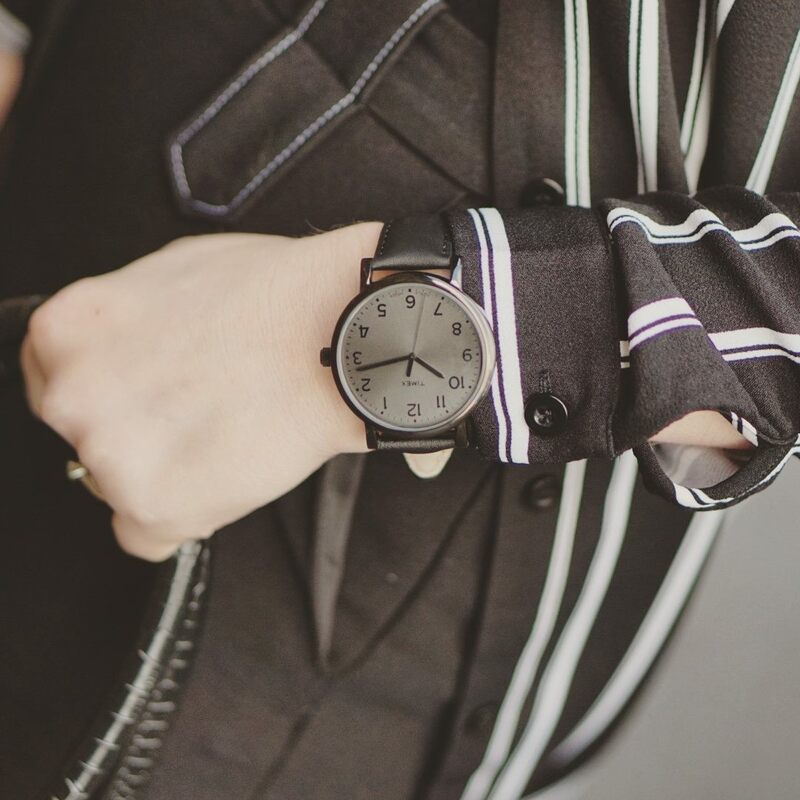 For 15% off and Estella Barlett piece, use the code FP15 at the Tienne Checkout. Manchester is famous for a lot of things; Football, Oasis and the weather being just a few. 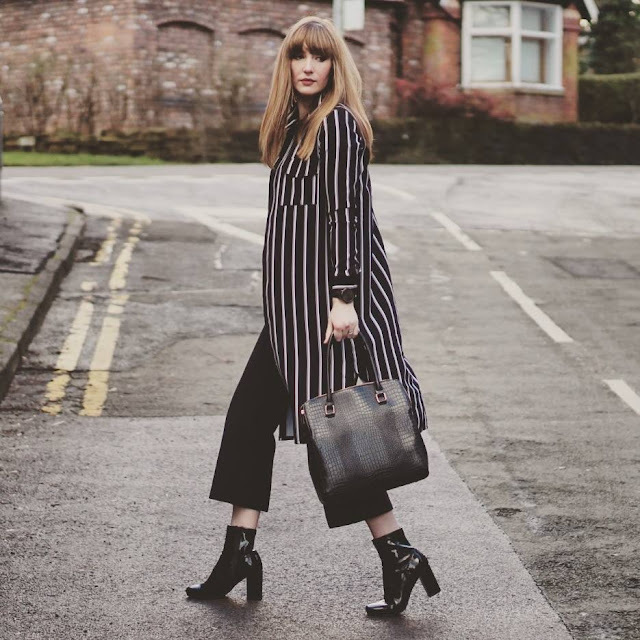 But since becoming a blogger and entering the world of the events, collaborations and networking; it's clear to see that Manchester's Fashion Industry is booming. I do get super proud of where I live; especially as Manchester is such a unique and vibrant place; but the fact that the city is now home to so many big E-tailers (online shops) is just the cherry on top of being a Manchester Blogger. 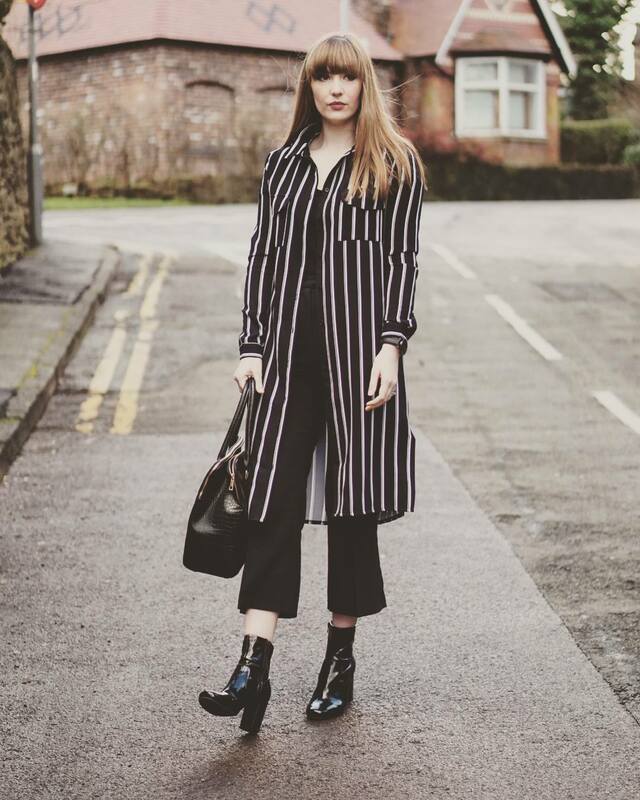 One of my favourite brands established in my very own home town has to be Daisy Street. I first noticed Daisy Street on ASOS, where they have been the 'best selling brand of the week' on numerous occasions. The low price point jumped out at me, as their pieces are so on trend and designer-esque that I didn't expect them to be affordable too! So you can imagine me delight when I was asked if I would like to collaborate with the Manchester brand. 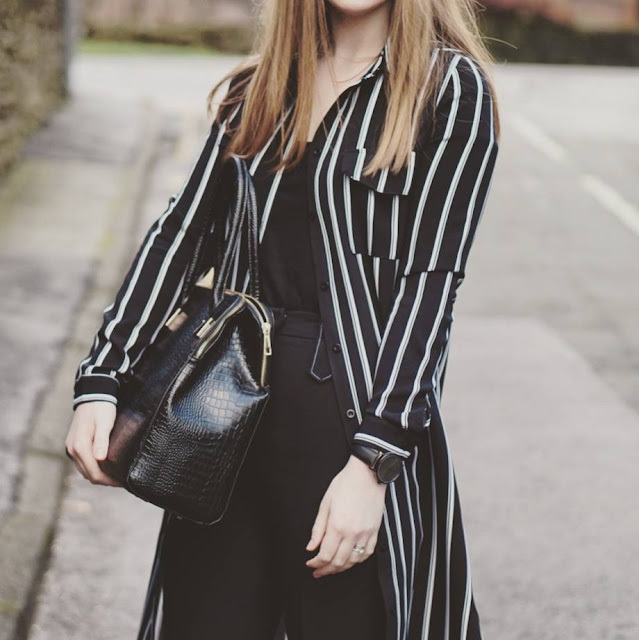 It was hard to choose which pieces I wanted to wear, as they have such a good choice, of both your daily basics; tshirts/jeans etc and on trend pieces. In the end I went with two pieces I felt I'd get a lot of wear out of; this beautiful striped shirt dress and the mega babe that is the denim jacket. I had originally planned to wear this as a dress, as that's its purpose, and it looked fab (espeically with OTK boots!) but I also needed something to pair my hard-to-wear cropped flares. 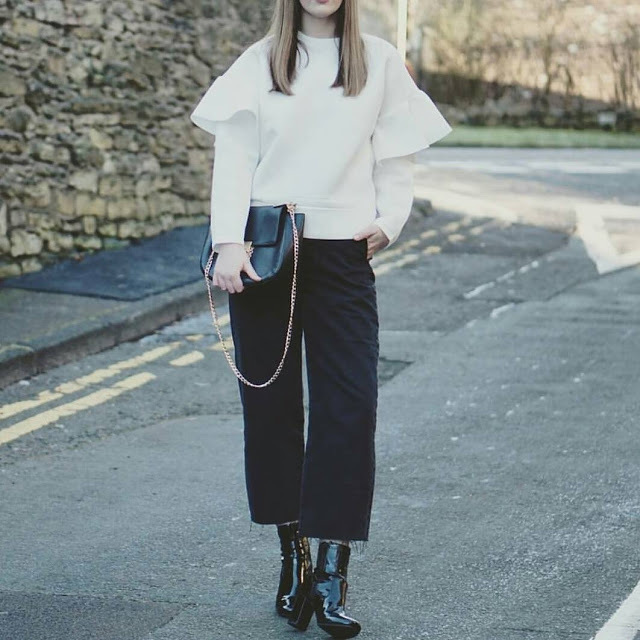 They're not the most flattering trousers, and it's best if you layer them with different lengths; making the dress perfect! 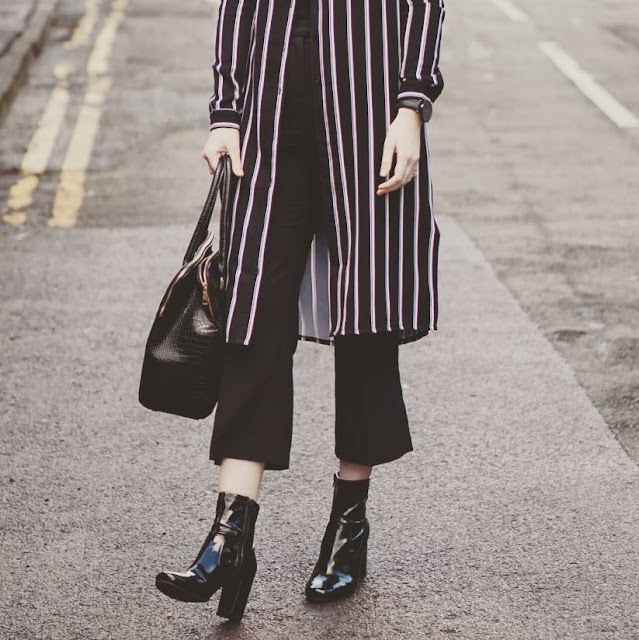 Stripes are a massive this SS16 so it will also look great with some gladiators! 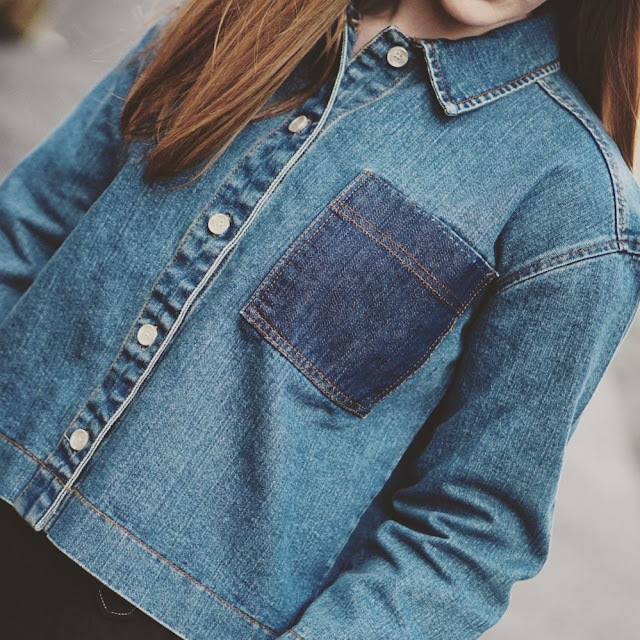 The second Daisy Street piece I chose was this stunning cropped denim jacket. I was immediately drawn to the box shape, as it gave a classic piece a modern twist. 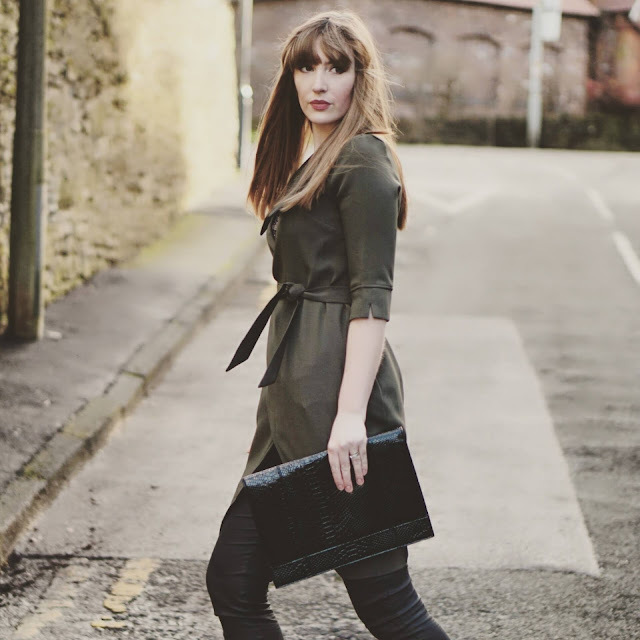 Unfortunately it started to bucket down half way through my shoot (blogger problems!) so I only managed to get two decent shots; but you can see how gorgeous it is! 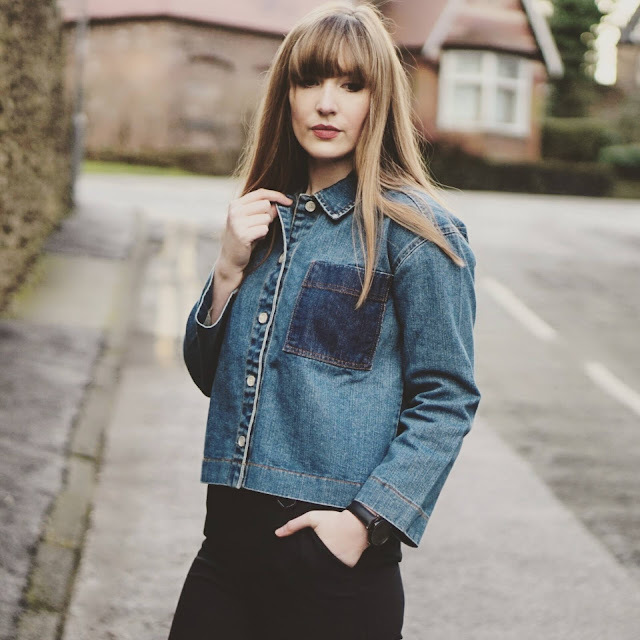 I can wear it with anything, especially as double denim is still on trend, so I could pair it with my frayed flares or over a dress for Spring. Lets face it; we don't appreciate the humble watch any more. I'll be the first to admit that I haven't felt the need for a watch for while. Most of us take for granted that we can check the time wherever we go; we don't mind how, in what form or where we get it from. So in this blog post, I'm happy to remind you that watches can also be a fashionable accessory, not just a useful one. 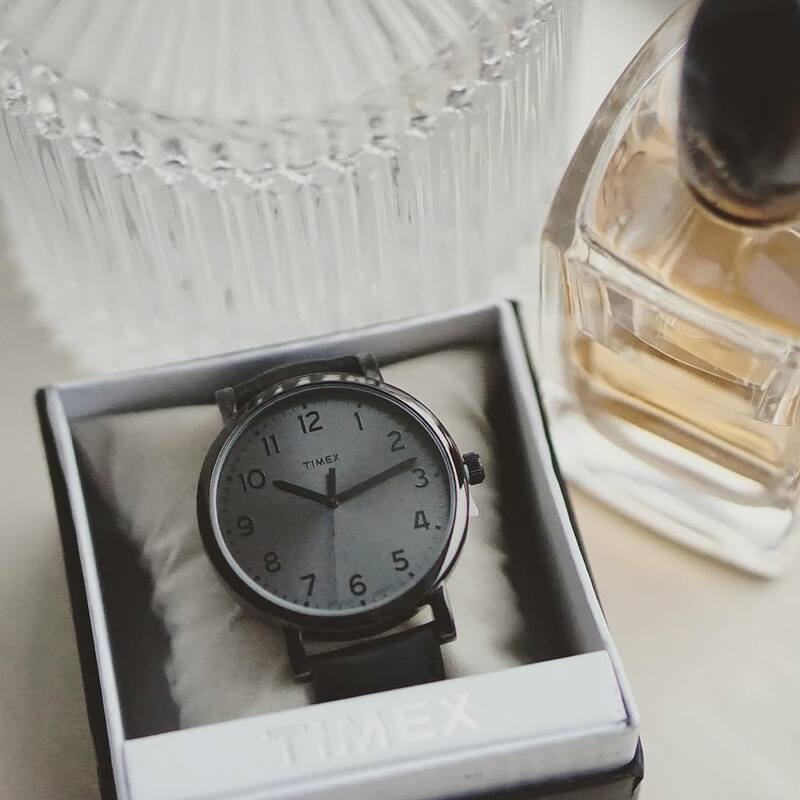 Introducing my super sleek, stylish and timeless (no pun intended) Timex watch. We've all heard of Timex, it's been world famous for making time pieces for over 150 years and I couldn't wait to choose mine. I went for something that I knew would go with everything. 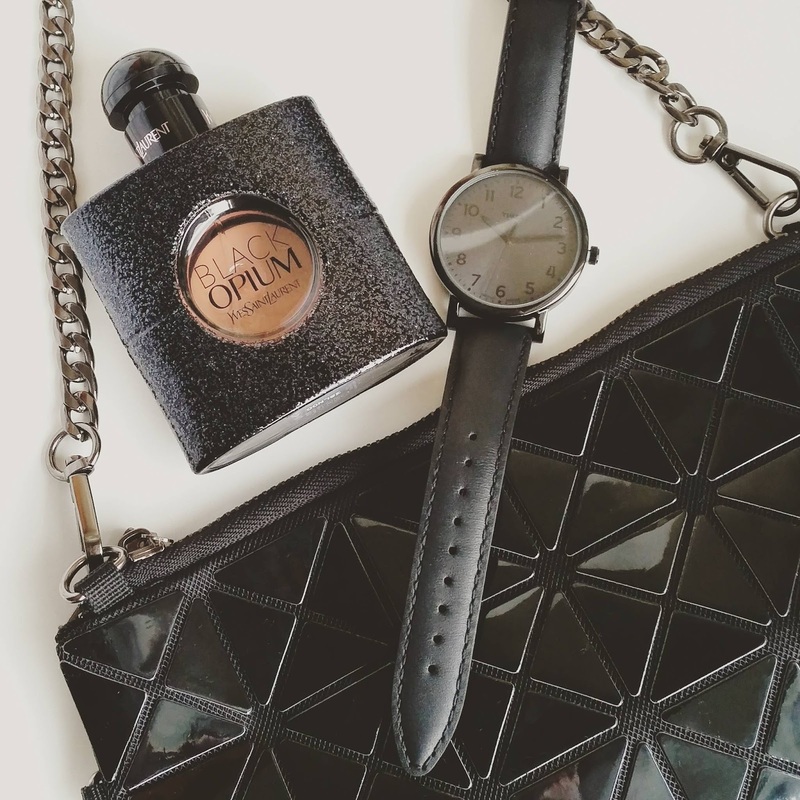 I wanted to wear it with every style of outfit; both dressed up and casual, so I went for the gorgeous Originals Classic Round in black. It's such a stunning time piece. With it being black (the white version is also amazing) it really does go with anything. I found that it really finished off my outfits, giving a polished, thought out look. Plus they're super on trend right now. This month's British Vogue reminds us that watches are a must have accessory, with the classic round face analogue being top of their 'must have' list. It's practical too! It's water resistant up to 30m and has Indiglo 'night light' technology so you can see the time day or night. I can't wait to take in to my first London Fashion Week with me later in the month, it's going to be nice not to have to rummage around in my bag for my phone whilst trying to do 100 other things. 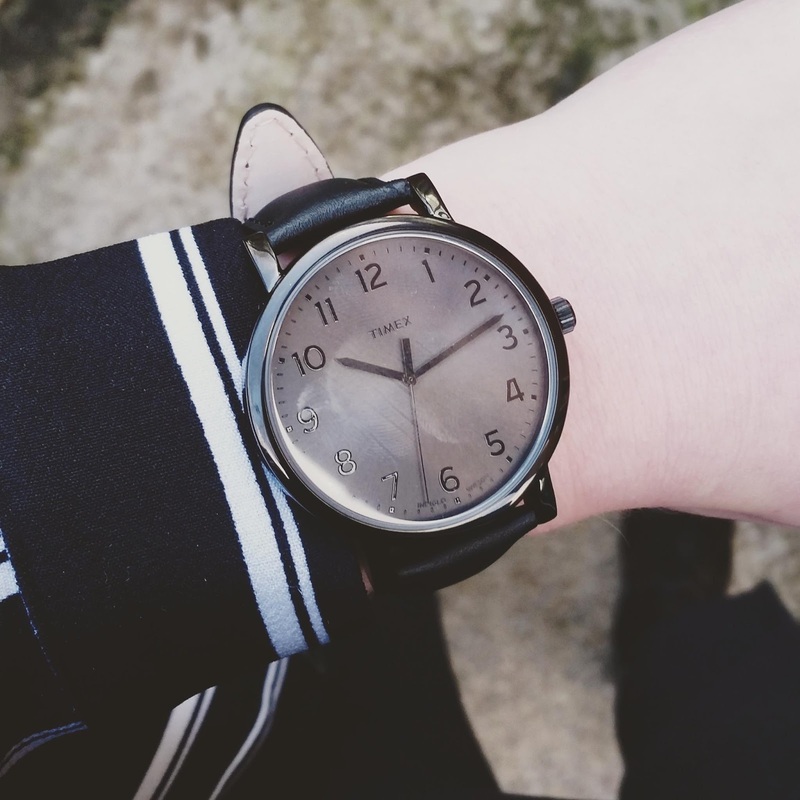 If you only buy one accessory this season, I definitely recommend you invest in a good watch. You can see the whole range of Timex watches here. We are well and truly in the throws of winter. It may have taken a while to arrive (I was wearing short sleeves in December!) but now it's here, it's here to stay. For a UK Fashion Blogger, it's the worst time of year in terms of fashion/photo shoots and generally being bothered about what we're wearing other than layer upon layer of clothing. That's where my new favourite boots come in. You may have heard of Teva. I had, but I'd only seen the sandals. Teva actually started out with just sandals; really comfortable, wearable footwear. They're well known with travellers for being durable and perfect for an adventure. 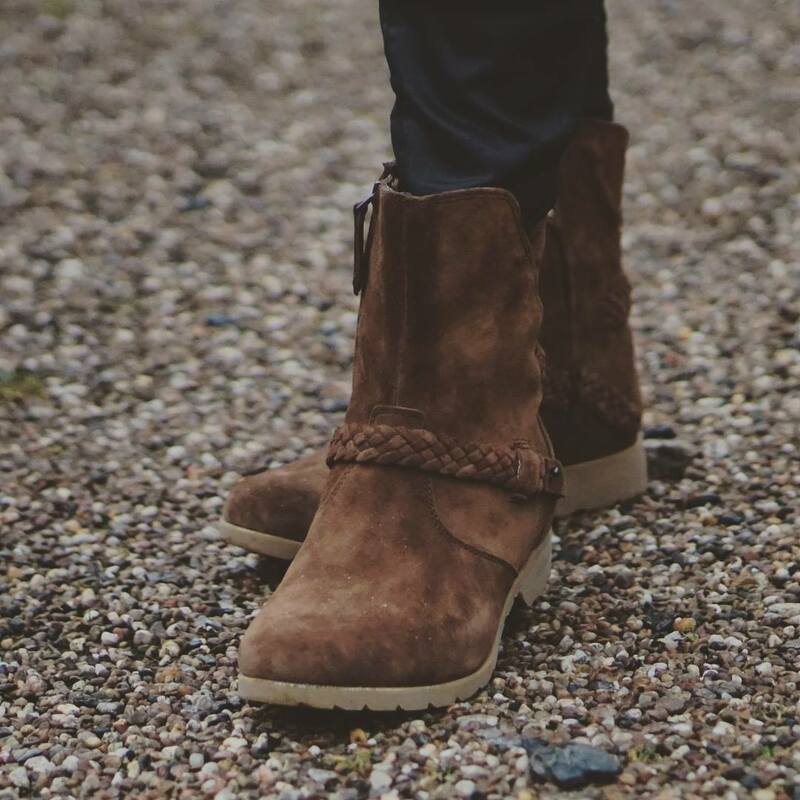 The boots have the same vibes; incredibly comfortable and unlike other suede boots I own; water resistant! Manchester isn't always the sunniest of places, shock horror I know; it rains most days, so I wouldn't naturally go for suede anything. But when I was asked if I wanted to feature the Teva boots on my blog, I jumped at the chance to have footwear perfect for winter and the rainy North West! Despite living just 20mins from the city, I actually live in a village in the middle of the countryside. I always feel lucky to have both near by, it also impacts on my outfit choices. 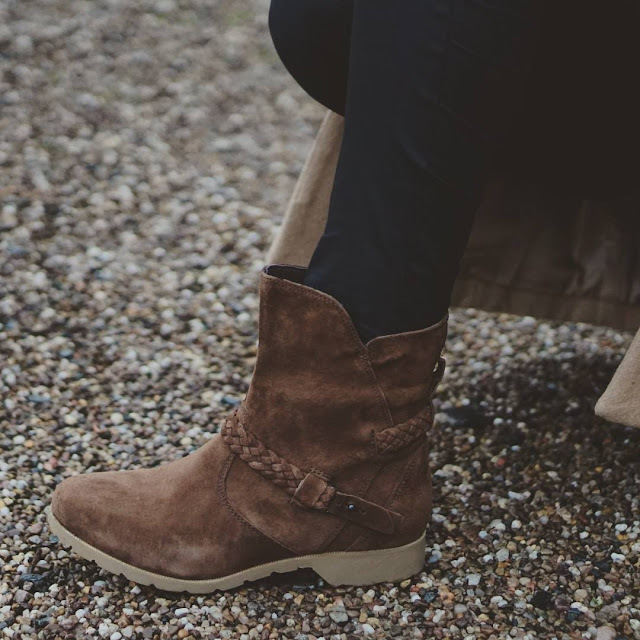 When I'm at home, I love to be comfortable, but also feel stylish at the same time; something that the beautiful Delavina boots helped me to achieve. I chose the Delavina style due to the gorgeous colour and detail. I've worn them so many times over Christmas, but I wanted to wear them with something styled. I'd usually throw them on to take the dogs out or on country walks. But I wanted to show how versatile they are. I paired them with my camel coat and black faux leather jeans. I felt so comfortable, but on trend too! I am always honest with my readers, and would never tell you anything just because I am working with a brand; but I can honestly say they are the comfiest pair of boots I own! We walked for 5 miles last Sunday, and they didn't rub, hurt or become uncomfortable. The best thing is, they are now in the sale from £90 to just £54 and they are worth every penny!